Recently, at the Ubuntu Developer Summit in Orlando, Florida, Mark Shuttleworth, talked at great length about his plans and ambitions for the upcoming version of Ubuntu. 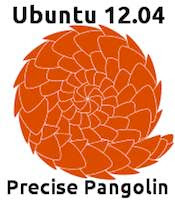 Codenamed Precise Pangolin, Ubuntu 12.04 will be a Long-Term Support (LTS) release, and will come with a slew of interesting changes. Also, one can expect deeper Unity integration and perhaps some Wayland developments as well. Precise Pangolin, according to Shuttleworth, will be – as the name implies – the most perfect Ubuntu release so far, making it ready for large-scale deployments. Ubuntu 12.04 will come with Linux Kernel version 3.2, an improved version that will have a lot of interesting features. Version 3.2 will include improvements to the VMWare graphics stack along with better support for open source graphics drivers. BRTFS, the heavily talked-about filesystem will also get a huge amount of features. The most intriguing part though, is the inclusion of Samsung Exynos4 DRM driver that will be merged into the kernel by version 3.2. The driver, which is developed by Samsung, will bring impressive 3D graphics capabilities to smartphones and other ARM devices. As with every kernel update, users can expect some minor boosts in performance. If you download Ubuntu 12.04 from the website, you'll be offered the 64-bit version of Ubuntu by default even if you're using a 32-bit device. This will ensure uniformity as well as a wider compatibility for packages. Earlier, even 64-bit users tended to use 32-bit images due to various compatibility issues with Flash player and other software. Since Pangolin's ISO will be 750 MB in size, it won't fit on your standard CDs. So, you'll either have to burn a DVD or use a USB thumb drive to install the update. Unhappy with the poor ARM compatibility and lack of maintenance, Ubuntu might be going back to Rhythmbox as its default music player. Even though a consensus on this issue is yet to be reached, chances are that Rhythmbox might earn that coveted spot back, as after all, Banshee is still a GTK 2.0 app, and porting it to GTK 3 will take time and won't be a smooth process. Developers, tinkerers and hackers can expect to get their hands on an experimental preview of Ubuntu using Wayland graphics server instead of X.Org. Mono, which is the open source implementation of Microsoft's .Net Framework probably won't be a part of Ubuntu anymore. With the possible removal of Banshee and Tomboy from the default set of applications, Ubuntu, much to the relief of FOSS enthusiasts, might finally become Mono-free. Ubuntu's recently revamped Software Center will get some more love from developers as Ubuntu 12.04 will aim at a speedier startup time of less than 2 seconds. As of now, USC starts up in 11 seconds in some hardware, so a faster software store will be a more-than-welcome change to Ubuntu. Applications will get deeper Unity integration in Precise Pangolin. Expect to see more Quick Lists and notification badges. Users will also be able to drag and drop lenses into the launcher, a feature I'm personally waiting for. Besides, overlay scrollbars might get ported to other applications like Firefox, Thunderbird and possibly Chrome. LightDM, the new login screen greeter for Ubuntu 11.10 will get even better with proposed features like theme widgets, UbuntuOne integration, design improvements and more. One interesting improvement that might show up in the final version is that LightDM will dynamically change its background to match the wallpaper the user has set up. Ubuntu 12.04 will possibly see a new icon set as well as inclusion of revamped sets for applications that still use small and poorly-designed icons. For users concerned with Zeitgeist's privacy issues, Ubuntu 12.04 might include an ability to turn off indexing for specific folders. There are also talks about turning off software recommendations that show up during searches. Though GNOME 3.4 will be released a month before Precise Pangolin's release, Ubuntu will be sticking with the current version, that is GNOME 3.2. That said, some 3.4 applications might make their way into the LTS. On some hardware, my netbook, Software-Center takes minutes to start. I am not kidding and that's the reason why I use primarily Synaptic on my netbook.